← 6 Questions About Condoms You’re Too Embarrassed to Ask, Answered! High blood pressure levels are detrimental to one’s health. Having consistently high blood pressures can lead to a number of health conditions including stroke and heart attack. You need to monitor your blood pressure levels regularly for early diagnosis or tracking your treatment progress, among others. For monitoring purposes, you will need to have the right medical equipment to help you out. A blood pressure monitor can surely aid you in taking readings of your blood pressure levels and help you keep track of them. Taking readings can be possible with such monitor and you won’t have to go to your doctor’s clinic every single day. Blood pressure monitors are available in different types. These can be digital or manual. These can be the wrist or upper arm cuff type, although the latter is the most recommended type. The cuff size should properly fit your upper arm. Otherwise, it won’t give you an accurate reading. Your doctor can help determine the right size for you. The display should be easy to read, clear, and understandable. Of course, know the brand of monitor you can afford. Do not take a blood pressure reading with a full bladder since it raises blood pressure levels. Take a rest at least 30 minutes before you get a reading. Do not smoke nor drink alcohol or caffeine at least 30 minutes before getting a reading. Make sure that your arm is raised at the same level as your heart. Your arm should be in a relaxed position. The cuff should be wrapped around the skin of the upper arm, not over your clothes. Avoid talking while your reading is being taken. Ask your doctor about how many times you should be getting a reading. Depending on your situation, it can be twice a day or more. If possible, take multiple readings per session and get the average for a more accurate reading. Take note of the readings that you get as well as the time you took such readings. Report these results to your doctor for evaluation. Indeed, buying your own blood pressure monitor can help you track your blood pressure levels at home. O.K. 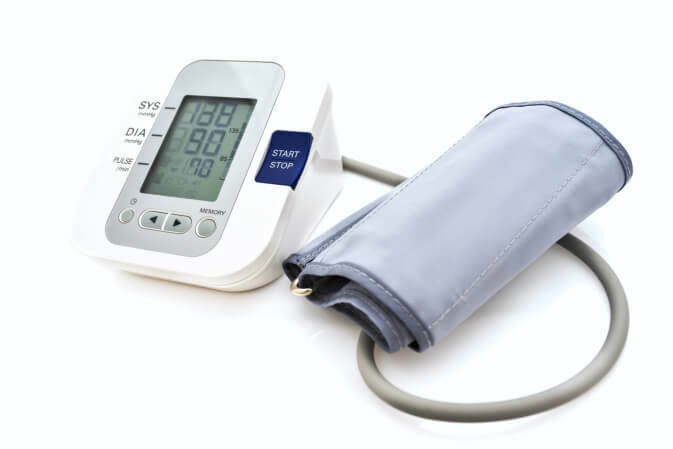 Pharmacy has a wide selection of branded and reliable blood pressure monitors for your home use. Visit or contact us today! This entry was posted in Blood Pressure and tagged heart attack, Medical Supplies, stroke. Bookmark the permalink.